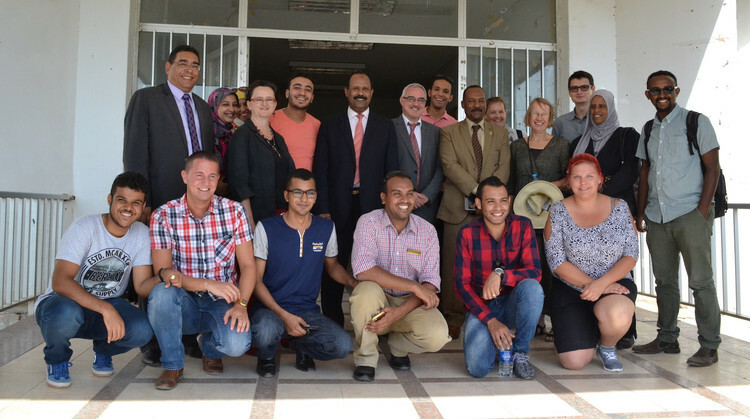 The idea of the Summer School on Cultural and Natural Heritage on the First Cataract of the Nile is the fruit of different initiatives of Egyptian and German institutions from different disciplinary backgrounds, working independently from each other for several years, but combined into a collaborative framework in 2014. In June 2010, a conference co-organized by UNESCO and the Secretariat of the Convention on Biological Diversity pressed for biological and cultural diversity to be genuinely integrated into development cooperation strategies and programs. The Conference resulted in the 2010 Declaration on Bio-Cultural Diversity and the draft Joint Program between UNESCO and the Secretariat of the Convention on Biological Diversity (SCBD), containing a number of proposed actions. The same initiative and approach were discussed again during the 18th General Assembly and Scientific Symposion of ICOMOS in Florence, November 2014. It has been stated that a separation between Cultural and Natural Heritage, in terms of discussions, practice and recognition is too problematic to be of a value for the future. The UoC Forum Heritage decided to build on its good network with Egyptian colleagues and institutions working on Natural and Cultural Heritage in Aswan and to respond early to the new international intentions and ideas of linking cultural and natural heritage in discourse and practice. According to the Forum’s agenda a framework and platform is being created for this approach to be discussed, criticized and developed in a context which goes far beyond Europe-centered interpretations. All this will create an excellent educative and capacity building atmosphere for the interested international students – especially in a region as rich in cultural and natural heritage as Aswan and the First Cataract, being a World Cultural Heritage site since 1979.